Dear Creatives, I hope this has been a creative week for you & this post inspires some crafting, cooking or creativity through the weekend. Thank you to all who entered Feature Friday last week! If you didn’t get a chance to enter last week please drop anything creative you have made recently to this weeks linky. All things creative are welcome See link at end of post with details. The idea is to spark each other’s creativity, diy skills and of course add a new recipe or two. 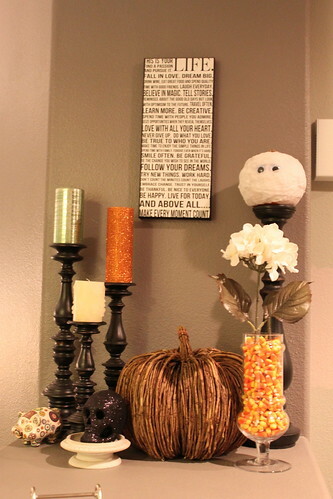 Now visiting Kristanlynn sparked my creativity this week with her burlap pumpkin tutorial! This tutorial of burlap pumpkins are by Kristanlynn. Kristanlynn is a mommy by day & crafter by night, Etsy shop owner & blogger. She sells some pretty cute greeting cards in her Etsy shop AdelynStone. Kristanlynn is very creative and you’ll love visiting her! Have you made any fabric pumpkins yet? I just might have to make some of these burlap pumpkins to go with my burlap wreath that I made & hung in our kitchen. Now onto this weeks inspiration from last weeks Feature Friday entries! Ann from Make The Best Of Things put together this simple bat tutorial. 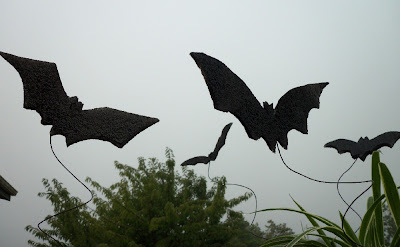 You can put these bats in your bushes, inside in a flower arrangement or for Halloween tree decor. Last year she made some out of crepe paper, this year these are bigger & made with foam. Ann says her sister calls her a “Maker” to round up all my creativity in one neat word. She is a artist, doll maker, seamstress, writer, gardener. Ann says she is a all round optimistic sort, even with her current treatment for breast cancer. And says her family and being creative are getting her through. From visiting Ann I can say she is quite an amazing crafter but you can visit her blog and see for yourself & she has an Etsy shop Jangojb with all kinds of handcrafted & up-cycled things. Ann shares more than Halloween inspiration so be sure & give her a visit. 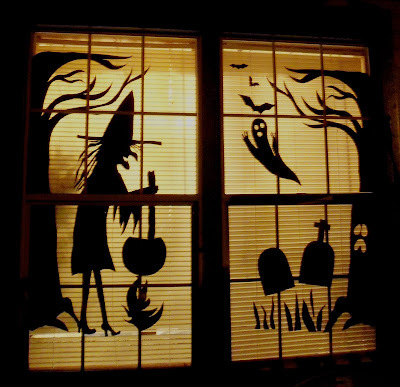 To see more Halloween inspiration & how Ann made this window decor visit here. Addison shares a step by step in photographs along with telling you & will have you wanting to make this Apple Butter recipe your kitchen. I can only imagine how great it smells cooking in the crockpot. If you haven’t met Addison before she is a home decor addict, healthy living amateur, doggie mama, and a yogi wannabe. Addison says feel free to follow her misadventures of weight loss, healthy living, home design & recipe creating. Addison also entered this tutorial for a diy mummy. You can see how to & more images in her post. This may be a project you can do with your older kids too! Now its your turn to inspire our creativity! We’d love to have you join in! 1. 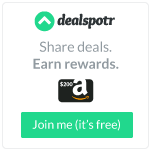 If selected to be featured next week I will use an image or two in the feature and link back to you. 3. If you do link up become a follower here with GFC or subscribe and it would be nice if you visited some of the others & don’t forget to leave a comment. I can’t wait to see what you created this week! PS I have a new twitter account just for DearCreatives! Just send me @ so I can follow you back! Have a great weekend! PS. if you would like to see my burlap wreath tutorial & all the other entries from last week visit here! That apple butter looks amazing! I know! I need to try it this fall. 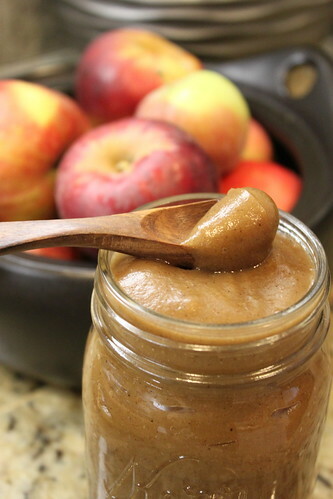 I have never made apple butter. Fawn, thank you for featuring me and your kind, kind words! I appreciate you so much. Your blog is so much fun and interesting to read. It’s so neat that the blog world can bring together new friends you didn’t know before. Thanks for hosting your party each week. I’m trying to get the word out! Oh that window decor is great! I have to go check it out now. Thanks for sharing these! This would be a simple & great way to dress up our entry way windows. I hope you enjoy Ann’s other ideas too! I love your blog! So full of cute ideas that I love!! Thanks Claudia! Stop by for a visit often. I’ll be by to visit soon & check out your blog / site.